Great luau accent item. 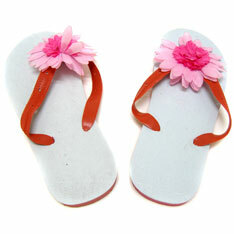 Adult size with pink colored flowers on the strap, and sold by the pair. $1.80 per pair for 60 pair of more. $1.65 per pair for 180 pair or more.